Richard Moberly, interim dean, talks with students in the Nebraska College of Law. The University of Nebraska College of Law and University of Nebraska at Omaha have launched a new program designed to encourage students in underrepresented communities to pursue a legal education. The Underserved Law Opportunities Program is seeking qualified UNO freshmen, sophomores and juniors to participate in the program. To be eligible, students should be first-generation college students or bilingual, and must have a record of community service. "The idea came from a conversation with a graduate of both our universities, who is currently practicing law in Omaha," said Richard Moberly, interim dean of the Nebraska College of Law. "There is no question that Nebraska has a need for bilingual attorneys and attorneys who will practice law in the public interest. This is an important step toward meeting that need." Participating students will be accepted into the College of Law upon graduation if they maintain a minimum 3.5 GPA throughout undergraduate coursework and achieve a minimum score on the law school admissions test. "Our state will benefit from this program just as much as our students," said Jonathan Benjamin-Alvarado, assistant vice chancellor for student affairs at UNO. "Our hope is that these students will go on to practice law in underserved communities, meeting a pressing need of the greater Omaha metropolitan area and Nebraska as a whole." Students enrolled in the program will be paired with a peer mentor and intern with a nonprofit organization that provides legal services. Participants will also have the opportunity to attend special College of Law programming and meet one-on-one with College of Law representatives. Admission interviews will begin this spring. Students interested in participating in the program should email Benjamin-Alvarado at jalvarado@unomaha.edu. 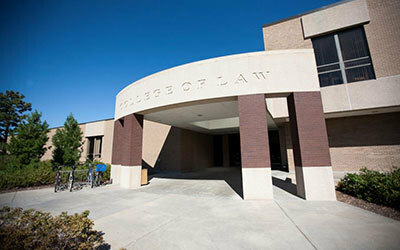 The Underserved Law Opportunities Program is similar to the College of Law's Rural Law Opportunities Program, which partners with Wayne State College, Chadron State College and the University of Nebraska at Kearney to recruit students to pursue legal careers outside of the state's metropolitan areas. Read more about the rural law program here.